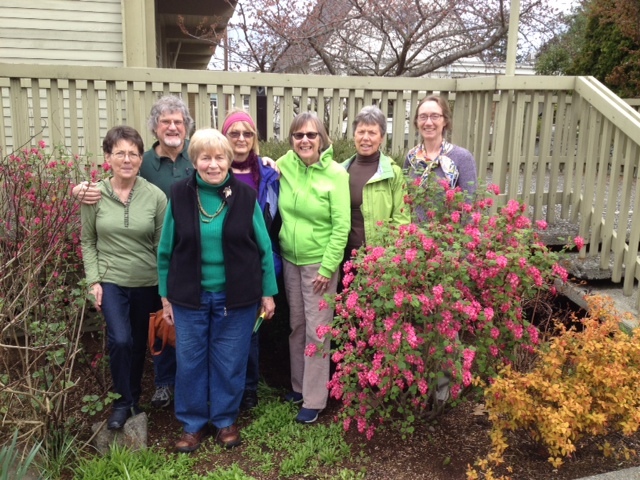 Our Green Sanctuary Team is involved in a process that leads to recognition as a Green Sanctuary through accreditation by the Unitarian Universalist Associations of Congregations (UUA). The Green Sanctuary Program gives roots and wings to the vision of a world in which all people make reverence, gratitude, and care for the living Earth central to their lives. Mission Statement: The mission of the Green Sanctuary Program is to further affirm and promote the seventh principle of Unitarian Universalism, “Respect for the interdependent web of all existence of which we are a part. Committee Members: Nancy B., Alice C., Diane F., Jean G., Barbara H., Diane S., Cyndy J., Margaret R., Judith S., Amar S., Mary S., Diane S., Greg S., John B., Bob G., Inge T., Pat T., Fran W. and France G.
Meeting Time/Location: Fourth Wednesday of each month at 7:00 p.m. in Adams Hall.